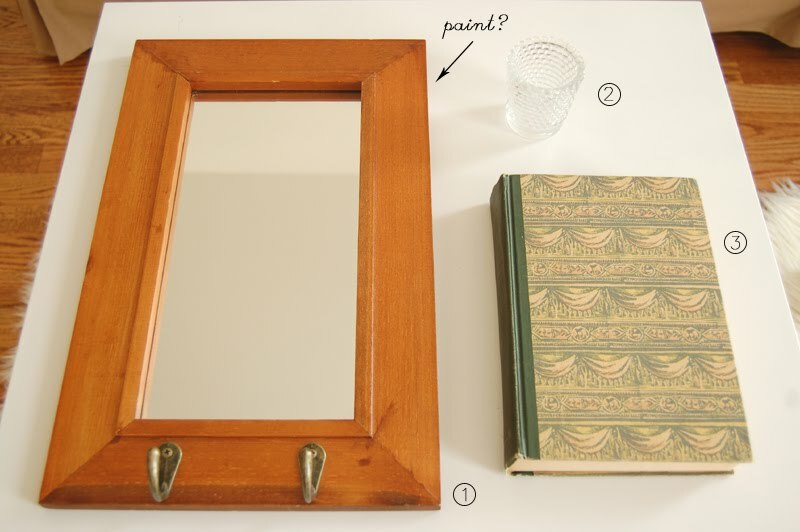 1) a mirror with hooks for our front entryway, $3 (I'm thinking of painting it a fun color, but also like it as-is). 2) beaded glass votive. My friend has the same one and I've always loved it. 49 cents. 3). Pride & Prejudice, $4. My favorite novel; I collect both old and new copies. Isn't this cover awesome? 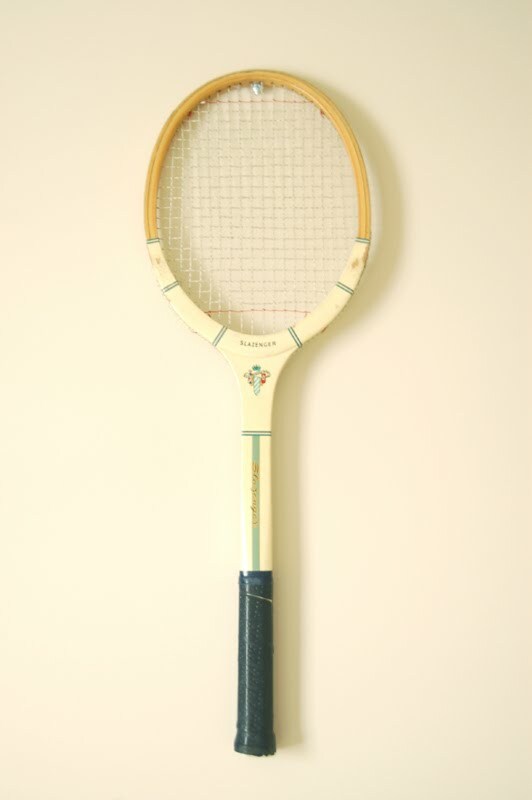 Also, I found this English tennis racket to add to my collection of vintage rackets (I now have a grand total of two :). I love the colors on it. fun finds! I love those little beaded votives - sometimes you can find colored ones as well. Awesome finds. I recently got into thrifting, so I'm still such a newbie. I'd love to pick your brain about how you go about it. Do you have a plan going in? Do you look at everything? I'd love to know. what deals! I say keep the frame unpainted so it will match anything! Also, the tennis racket is adorable...you're right, the colors are lovely. paint it a fun color! Pride & Prejudice is one of my favorite books too :) Love the cover of this one! Great finds! 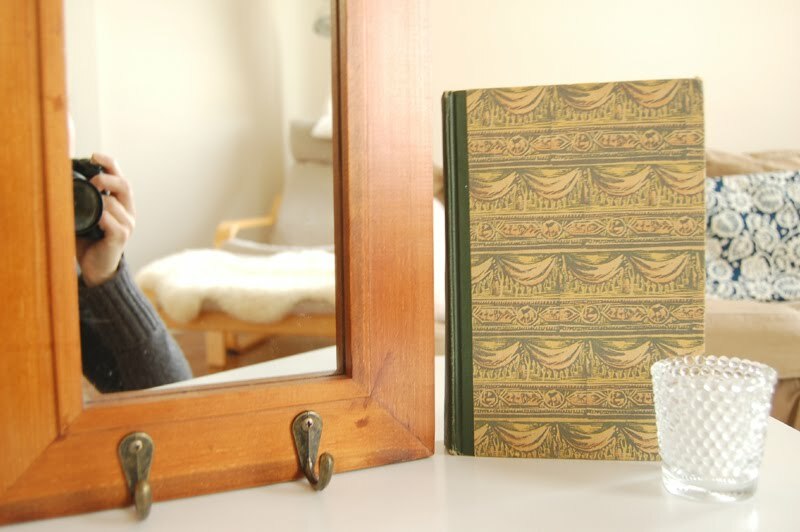 I often have a lot of misses at thrift stores...love the mirror. No way I'd have been able to pass up another copy of Pride and Prejudice either. I always get so excited when I am going to go "thrifting" but I usually leave empty handed. You got some great things! How neat that you are collecting rackets and I love the mirror you found! 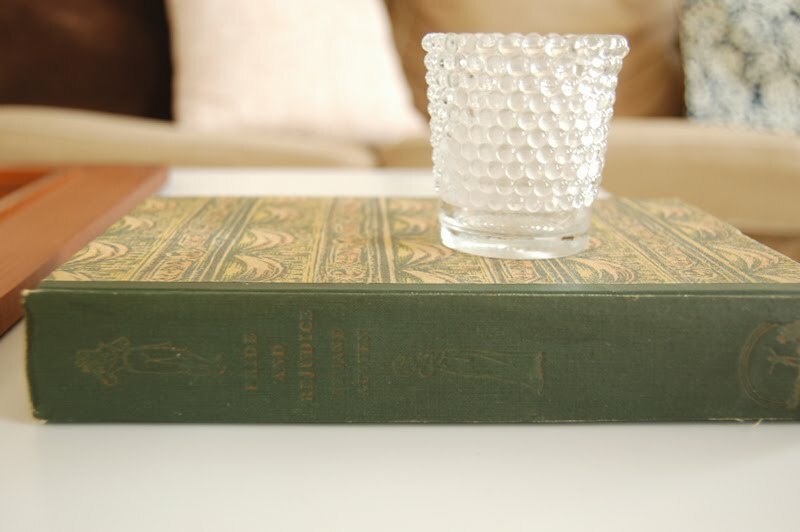 also - major score with that gorgeous pride and prejudice book. that racket is great and i could see why you would love the mirror as is. the color of the wood is so warm!